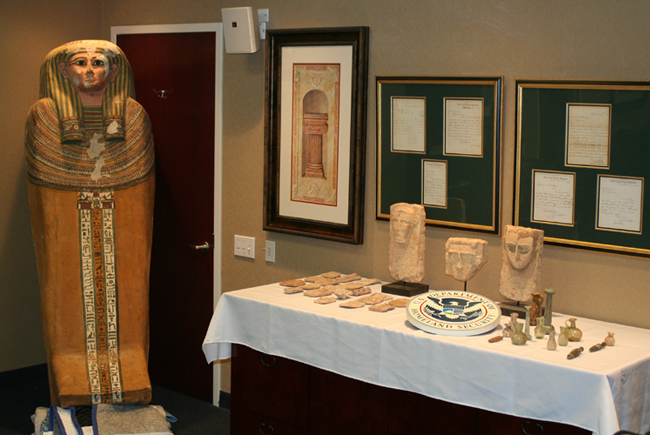 I am reminded that the North American collector charged today over Egyptian antiquities appears to be the same individual linked to the Miami coffin and the Barcelona galerista. It looks as if this is developing into a major story. See also here. Is this the same collector of Egyptian antiquities?